These handcrafted knives are famous throughout the world. Pick up a set for your kitchen or take a free factory tour to see how they’re made. This museum calls Pictou’s former train station home. Its exhibits focus on the seaside life along the Northumberland Strait and include a rare blue lobster. 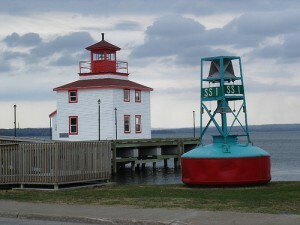 The 3km long trail leads along the waterfront and is open for walkers and cyclists. It leads to the Hector’s 1773 landing site. There are nice views and panels explaining the history of the area along the way.